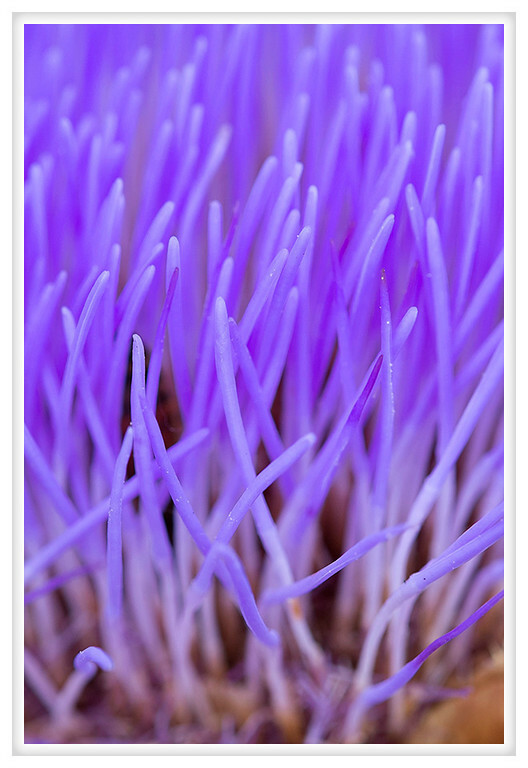 This is a macro photo of an artichoke in bloom. When I saw it all I could think is that the ocean has visited us on land and anemones can now survive without water. If you look closely at the left side just below the middle you can see a bee collecting pollen deep within the flower's tentacles.